According to several reports, one of the central topics in the meeting between President Trump and President Putin this month was the concern over Iranian ambitions to establish a long term presence in Southern Syria. Such an occurrence would mean the establishment of Iranian territorial continuum from Iran to Syria. According to the Washington Post correspondent based in Amman, concern regarding this development arose from the neighboring countries, Jordan and Israel, receiving the attention of Russia and the US. The concerned parties noted movements of militias loyal to Iran towards Jordan’s border with Syria, and also to an additional strategic zone near the triangle with Iraq. As territory is delivered from the hands of ISIS, they fall into the hands of the Shiite Muslim militias loyal to Iran. Even though additional forces, like Russia and the US, are operative in the area, it is quite clear that they are not on the ground to stay. With Iran, quite the opposite. What Iran takes, it keeps. Territory captured by forces loyal to Iran can hardly be called “liberated”. 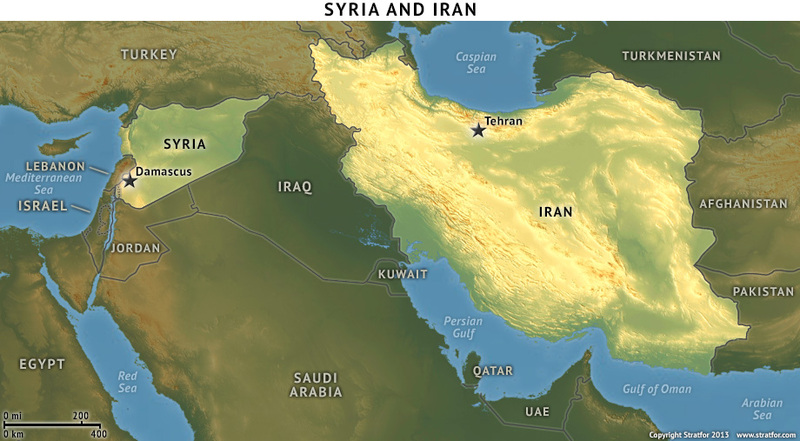 Taking the Trump-Putin understanding as a measure, the practical expansion of the Shiite crescent, or “arc of direct influence”, from Persia all the way to the Middle East, is not only a Middle Eastern issue, but a super-power matter of international concern. A Jordanian official is quoted warning “the international community, regional powers and Jordan will not tolerate the creation of a land line all the way from Tehran to Beirut..such a Shiite crescent would disrupt the regional balance and be considered a super red line”. One of the factors contributing to Iran’s expansionism, is the change in US policy. The US backtracked on its previous policy of conditioning any truce in Syria on the ousting of the Assad regime, revealing a new tolerance for the Assad regime. This change de facto strengthens Assad’s hand and by extension contributes to Iranian expansionism. As the Daily Beast phrased it: “a limited counter-terrorism strategy paired with a tacit admission of Assad’s victory means Iran has won a huge strategic victory“. Thus Iran has succeeded in undermining American influence in the Middle East. The story is true for Iraq as well. As the Wall Street Journal headlines Iran poised to gain as ISIS falls in Mosul, issuing a warning that Iran is shaping up to be one of the biggest winners in the struggle with Washington for influence in Baghdad and across the region. The liberation of territory from the hands of ISIS will not have much meaning if they are re-seized by Shiite Iranian backed radicals. That will just be a swap of Sunni extremism by Shiite Extremism. It would seem that the objectives of the military campaigns, of the US and Russia, should be reconsidered. Should not be limited to the deliverance of territory, but to the liberation, preventing a take-over by alternative extremist elements.